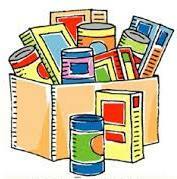 A listing of food and clothing resources in Douglas County. Includes food shelves, hot meals, food buying club, FoodShare, WIC, FoodWIse and clothing resources. If you know of any additions or changes to this list, please contact Julie Montgomery at 715-395-1427 or julie.montgomery@ces.uwex.edu. UW-Extension does not endorse or guarantee the quality or experience of any resource listed. **This is an informational resource only.